If you have fine lines around your nose and mouth, or places on your face where you wish you saw a more youthful contour, a dermal filler can be your perfect, minimally-invasive skin rejuvenation solution! Dermal fillers, like Juvederm and Restylane, achieve subtle but noticeable results by restoring molecules that occur naturally in your skin. Dermal fillers are a safe, FDA-approved method of adding natural-looking volume and smoothness to your skin. If you want to learn more about how you can add back fullness of your facial features with dermal fillers, call us at SkinCare by Alyce today to schedule your consultation. When we are young, our skin is supported by a vibrant system of collagen, elastins, and hyaluronic acid. Hyaluronic acid molecules are prone to retain moisture. They keep our skin “glowing,” while working underneath our dermis to keep the plumping collagen and flexible elastins healthy and firm. Unfortunately, due to a wide variety of factors, including sun damage, smoking, or the effects of aging, our skin eventually produces less hyaluronic acid and collagen. The skin begins to lose healthy moisture, volume,and elasticity, which results in the formation of fine lines and wrinkles over time. By re-introducing hyaluronic acid back to clients’ skin, dermal fillers promote the healthy function of the skin itself, while providing volume to the desired area with the targeted hyaluronic-based injection. Dermal fillers correct the appearance of wrinkles, deliver desired volume, and restore a healthy, youthful appearance, without the need for an extensive procedure or long recovery. Most injection sessions can be completed within fifteen minutes to an hour, depending on the number and type of fillers that will be used to achieve the client’s desired improvement. Due to the fact that hyaluronic acid is naturally-occurring in the skin, the body is more likely to accept the results achieved with the injection. Dermal fillers, such as those offered by Juvederm and Restylane, are capable of rejuvenating a client’s skin for six to nine months, or, in some cases, longer than a year. Your skin is unique to you. Registered Nurse and Medical Aesthetician Alyce Versagli helps her clients select the cosmetic procedures that will do the best job providing the results the client is looking for. There are a variety of dermal fillers available to clients, each with their unique abilities and strengths. Juvederm offers a range of dermal fillers. Each Juvederm filler administers a modified form of hyaluronic acid to a designated part of the face in order to achieve lift and volume. Juvederm Voluma XC: The middle of our faces (called the mid-face region) can become more hollow or loose with age. 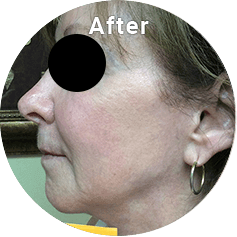 Juvederm Voluma XC has the ability to lift up and contour the sunken portions of our mid-face. Voluma XC adds volume to the cheeks and improves the overall softness and fullness of this feature. Clients must be over 21 to be recipients of Juvederm Voluma. Juvederm Vollure: Laughter, as well as smiling, and frowning, are all important parts of our daily communications with our friends and coworkers. The more we smile, laugh, and speak, however, the more we work the skin and muscles on our faces. As our skin loses its natural moisture and elasticity, facial lines and wrinkles form. Juvederm Vollure XC is designed to add healthy volume and smooth these wrinkles, such as nasolabial folds, the lines that can form starting at the nose and descending to the mouth. Juvederm Vollure XC is capable of improving moderate to severe wrinkles. Thanks to its unique Vycross Technology, which is formulated with lift capacity and duration of the achieved effects in mind, the results of Juvederm Vollure can last as long as 18 months. Clients must be 21 or over to receive a Juvederm Vollure injection. Juvederm Ultra XC: Juvederm Ultra XC is capable of filling lips for a subtle, healthy-looking increase in volume. The results often last for one year. Juvederm Ultra’s formula is also fine enough to treat finer lines in more delicate locations of the face, such as hollows or fine wrinkles around the mouth. Juvederm Ultra is also an excellent option for smoothing mild to moderate wrinkles, such as the nasolabial or marionette lines around the mouth. This dermal filler contains a small amount of lidocaine, in order to increase client comfort during its injection. Juvederm Ultra Plus XC: Juvederm Ultra Plus XC delivers a more viscous version of Juvederm Ultra XC. Because Juvederm Ultra Plus contains a larger particle size, it is better suited to volumize larger areas of skin and fill in moderate to deeper folds. 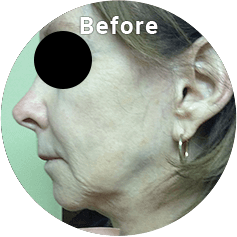 It has the versatility to address wrinkling and loss of volume in a variety of places, from the client’s cheeks to their nasolabial folds, marionette lines, and loss of volume in the perioral area. This injection also contains lidocaine, to ensure our client remains comfortable. Restylane is a hyaluronic-rich filler that smooths the appearance of moderate to severe facial folds. 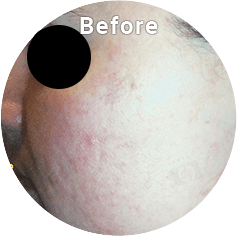 The injection, composed of NASHA, or Non-Animal-Derived Stabilized Hyaluronic Acid, immediately restores fullness, fills depressions, and improves the healthy glow of the client’s skin. Restylane can also be used to augment the client’s lips, with natural-looking results. Clients must be over 21 to receive a lip augmentation with Restylane. Due to the fact that hyaluronic acid naturally occurs in our skin, an injection of Restylane makes the skin fuller and healthier. Clients enjoy results for nine to twelve months. Pleased clients often opt to maintain the results of their dermal filler after this point. Alyce will work with clients to help them find a dermal filler, and injection schedule, that works best for them. Just like Restylane, Restylane Lyft is capable of addressing moderate to severe facial lines and folds. It is an effective means of smoothing marionette lines and nasolabial folds, and can achieve a more youthful, lifted look of the lower face. 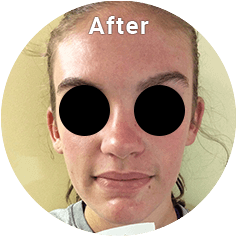 Restylane Lyft has the additional ability to augment client’s cheeks. An injection of Restylane Lyft can lift the cheeks and restore volume that can be lost to the mid-face with age. Restylane Lyft has also been successful at smoothing and improving the appearance of the signs of aging on the backs of clients’ hands, such as loose and thinning skin. Are looking for a minimally-invasive skin rejuvenating procedure that won’t make you interrupt your daily schedule to complete a long recovery. 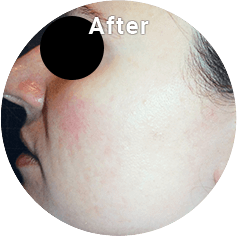 Speak to Alyce during your consultation if you have a higher tendency toward skin scarring. Both Juvederm and Restylane are very versatile and, as such, many men and women are good candidates for their use. They are safe and effective for all skin types and tones. If you are interested in learning more about your candidacy for the age-fighting and facial contouring benefits of a dermal filler, call the helpful team at SkinCare by Alyce to schedule your initial consultation today! Juvederm and Restylane are two FDA-approved hyaluronic acid-based dermal fillers; both offer versatile applications. They are both widely-used. Once Alyce shares her recommendation for the client, the decision between the two often falls to client preference. Each individual’s skin, and their goals for their appearance, are different. One client may see their best results with Restylane, another Juvederm, and a third person may see their best results with the careful implementation of two injectables into different sections of the face. No two clients have the same skin, nor do they have the same aesthetic preferences. 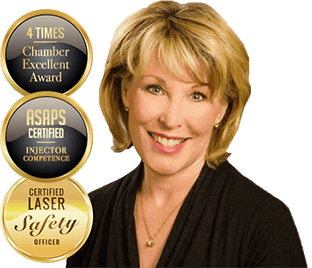 With over 25 years of medical skin care experience behind her, Alyce takes care to spend time with each client so that they can make their best informed decision concerning their options with dermal fillers. A consultation with Alyce is an opportunity to have any questions you have regarding your skin health and rejuvenation answered. It is important to Alyce that she understands your goals for your appearance, so that she can help you achieve your ideal youth-restoring results. At your consultation you will be asked to answer questions concerning your medical history. Notify Alyce if you have any pre-existing medical conditions which could affect your ability to heal, or are prone to severe allergic reactions. Alyce will examine her client’s skin and discuss his or her options with dermal fillers. The team at SkinCare by Alyce wants every client to have the most relaxing, informed, and beneficial experience possible. 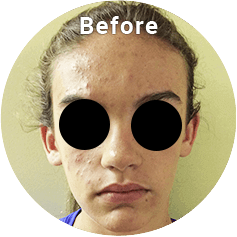 If Alyce believes her client will see better results from an alternative skin treatment, she will discuss their options with them. We are happy to answer any questions that you may have about your skincare needs. To learn more about how you can enjoy a more contoured, youthful look and a reduction in your fine lines, wrinkles, and other signs of aging, call SkinCare by Alyce at (610) 685-2575 today to schedule your initial consultation. You can receive your dermal filler, and the accompanying revitalizing results, in a safe, nearly pain-free appointment. Your dermal filler procedure can be completed in as few as 20 minutes, or up to an hour, depending on the area or areas you will have treated, and what type of injectable you have selected. Certain fillers already contain a small amount of lidocaine, for your comfort. You can also request a local topical anesthetic, if you are concerned about discomfort during your procedure. Alyce wants every visitor to SkinCare by Alyce to feel confident and comfortable. She takes pride in providing a convenient procedure and subtle, but noticeable skin improvement for every unique client. Recipients of a dermal filler will immediately notice their treated skin looks fuller, and that their wrinkles and fine lines have been filled in and smoothed. It is not uncommon for clients to see swelling, redness, or bruising in the treated area, or to experience mild discomfort, but these are common side effects which abate in as little as 48 hours for most clients, in under a week for others. Clients are advised not to touch or disturb their injection site for a few days following their treatment. Some clients decide to take a day or two off their usual schedules, but are free to return work when they choose. It is possible to cover any bruising that lasts for over 48 hours with light makeup. Clients may also be advised to limit their heat exposure or exercise habits for at least 24 hours following their dermal filler appointment. Depending on the dermal filler chosen, clients will enjoy their more youthful appearance for nine months, or for over a year. Clients can speak with Alyce about achieving their best, long-term results with dermal fillers. The price of a client’s dermal filler treatment plan will depend on the area or areas that they would like to address, as well as what dermal filler product they are interested in receiving. After a client’s consultation at SkinCare by Alyce, we will be able to provide a cost breakdown for the individual’s desired skin rejuvenation treatment. Your features are unique, and your skin is delicate. Don’t let the effects of aging create a rift between who you are on the inside, and who you see in the mirror: call SkinCare by Alyce today to learn more about how a simple, safe dermal filler injection can give your youthful good-looks back to you, with natural, healthy results!